If you're trying to learn how to skateboard, no one would expect you to be Tony Hawk on the first day. Hell, no one would expect you to be good at Tony Hawk's Pro Skater 5 on the first day. And the same is true for someone learning to love Scotch -- you can't expect your palate to appreciate the best Scotch in the world if you've only had sips from a couple of distilleries. 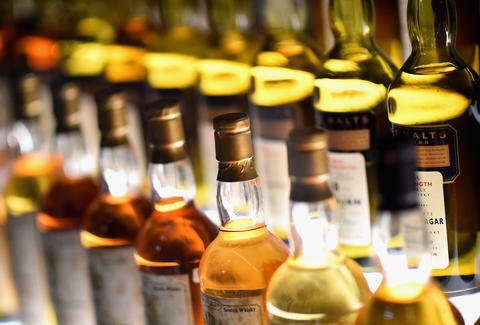 Of all the liquors of the world, Scotch can be the hardest to develop a taste for. So... how do you do it? We spoke to Dr. Nick Morgan, the head of whisky outreach at British booze mega-producer Diageo, to help you become a Scotch superfan in three easy/delicious steps. Steps that involve drinking Scotch, naturally. Single-malt Scotch has the allure of being a drink only a true connoisseur can enjoy (Ron Swanson's a Lagavulin man, for instance), which makes it a poor starting point if you're just getting into whisky. "If people think they're going to like Scotch, or want to like Scotch, but have never really tried it, I would start off with a blended Scotch whisky rather than a single malt," Morgan says. 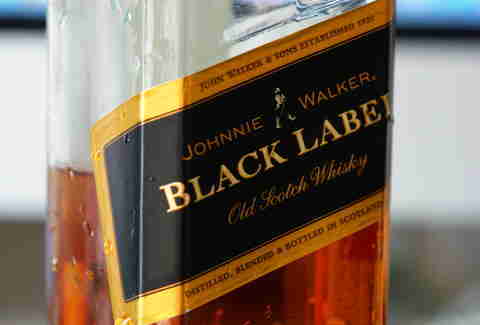 Out of the numerous blended Scotch options on the market, Morgan recommends Johnnie Walker Black Label 12-year for its "rich, smoky flavor" or Chivas Regal 12-year, which is "lighter and fruitier, with a bit of spice." Have an opinion on which of those whiskies you prefer, because it's going to inform what your next taste of Scotch should be. That means you'll likely enjoy something more "rich and intense," says Morgan. "I'd start with something like Cragganmore or Mortlach, which are Speyside single malts, but they have quite a lot of character," he says. That's just the tip of the smoky single-malt whisky iceberg. "For smokier single malts, I think of Caol Ila from the Isle of Islay or Talisker from the Isle of Skye, which are quite different." As it happens, Caol Ila whisky is used as part of the blend for Johnnie Walker Black, so this makes perfect sense. Pro tip: if the bottle you pick up describes it as an Islay single-malt Scotch whisky, Morgan says there's a good chance it'll be smoky. But be sure to eye the bottle, regardless: sometimes you'll find tasting notes on it. Or you can go with a more unconventional Scotch. If you "want something a little special and unusual, there's a single malt called Clynelish which springs to mind," he says. "Or Springbank from Campbelltown -- it's an unusual, rich, bolder [whisky] with a maritime character." That means it tastes like the sea, but not the parts where people make #1. You're still going to go the single-malt route, but you'll be going deeper into the portfolio of different distilleries. "[Find] Cardhu, Glenlivet, or Glenfiddich -- those which have fruity characters, and those single malts all have great reputations," Morgan says. "And rightly so." If you're wondering what kind of money you're going to have to lay out for a bottle of any of these whiskies, it depends on the age. But you can find many 12-years for under $50 at your local liquor store. 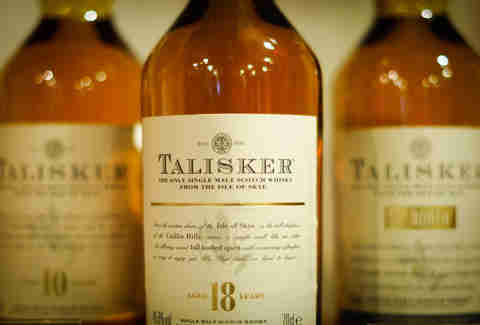 "In terms of relative prices of single malts, all three of those are going to be what I'd call affordable," he says. You know that feeling when you got into a band before any of your friends did, and then you felt smug as hell about it when One Direction finally blew up? You can have that feeling with whisky too! No matter which of the two blended Scotch brands you like, the third step is to find something new and different. "There are over 100 malt whisky distilleries in Scotland, and there are a lot that aren't famous, but produce quite unusual whiskies in 12-14 years," Morgan says. He mentioned distilleries like Dailuaine, Benrinnes, and Benromach, which can be difficult to find. That said, it certainly does add to its cachet. To track down those unusual whiskies, you're going to need a little help. If you live in SF or LA, K&L Wines can help. Binny's has a ton of locations in the Chicago area packed with whisky. And Park Avenue Liquor Shop in NYC is known for its single-malt selection. If you don't live in any of those places, worry not: UK-based The Whisky Exchange ships the rare stuff to the US, and Scotch Whisky Auctions is there to replace piles of your hard-earned money with alcohol. Another strategy is to "find a well-known brand and follow its root into premiumization," which is a fancy British way of saying "track down that hard-to-find, limited-edition stuff." 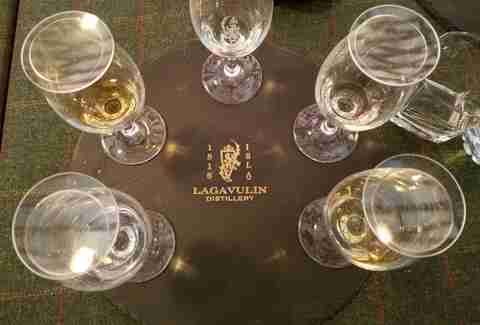 On a recent trip to the Lagavulin distillery in Islay, Scotland, I had the chance to try a few versions of the single-malt Scotch bottled specifically for a jazz festival held on the island. If you can find these types of special releases from top distilleries, you'll be tasting something not many Scotch fans on planet Earth have been lucky enough to sample. And isn't that what being an aficionado is all about? Lee Breslouer is a senior writer for Thrillist, and would like a few bottles of everything mentioned in this story. Follow him to Scotch dreams: @LeeBreslouer.